Someone must petition the court to initiate guardianship proceedings, even if the guardian was named in the parents' will. This is usually the person seeking guardianship. Ideally, you should have the parent’s consent, but this isn't mandatory. If the child is older than 14, Maine requires his written agreement -- the guardianship petition includes a space for his signature. Petitions and affidavits of consent for the parent’s signature are available from the probate court, and you should file in the county where the child resides. Some counties require additional forms. If so, the clerk can advise you. After you file your petition with the court, Maine requires that you serve a filed copy on all interested parties. This includes the child, if he is older than 14, even if he has signed the petition. Interested parties also include both parents and the individual the child has been living with for the past two months, unless the child has been living with you or his parent. If you don’t know where the child’s parents are, the court clerk can advise you on how to proceed instead. You can serve the petition on these people by certified mail, return receipt requested or ask the county sheriff to do it for you. Whichever you choose, you must then file proof of your successful service with the court, either your mail receipts or statements from the sheriff. When the court receives your paperwork, the clerk will schedule a hearing. If you have the consent of the child’s parents, this hearing is usually just a formality. Otherwise, it is more complicated, possibly spilling over into additional days so the judge can hear testimony from everyone involved. The judge may appoint a guardian ad litem, usually an impartial lawyer, to look into the circumstances surrounding your guardianship request and make a recommendation to the court. Ultimately, the judge will make a decision based on the best interests of the child. Your chances of approval increase if he’s been living with you or you can prove abuse, neglect or abandonment by his parents. If the court approves you as the child’s guardian, this usually suspends his parents’ rights and transfers them to you. However, Maine judges have a great deal of discretion with these matters so the court might limit your powers or even order visitation for the child with his natural parents. In most counties, you’ll have to contact the court yearly with a status report regarding how the child is doing. You should not have to pay out of your own pocket to support the child. Whenever possible, Maine courts order child support payable to the guardian from the child's parent or parents. Unless your guardianship order states otherwise, your appointment generally lasts until the child turns 18. However, his parents have the right to petition the court to “undo” the guardianship at any time. The child can also petition the court to end your guardianship if he’s older than 14. As a stepparent, you provide emotional and financial care for your stepchild, but your stepchild's biological parents have ultimate legal power over your stepchild. This imbalance can create problems in situations where decisions affecting your stepchild's welfare must be made quickly, but you lack the legal authority to do so. 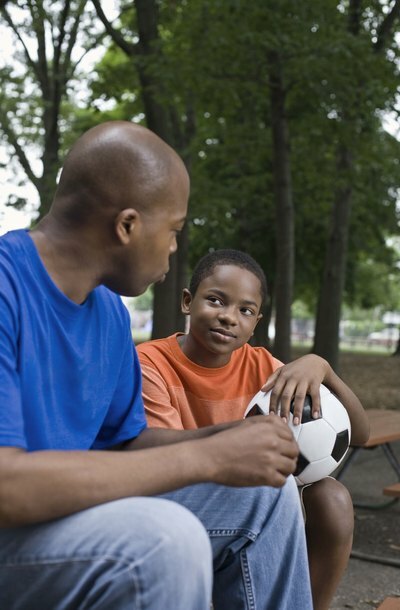 Assuming legal guardianship of your stepchild may be one way to address this situation.